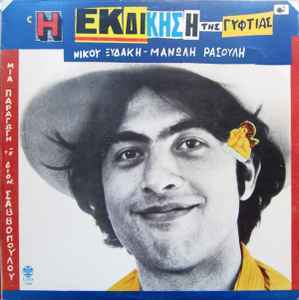 Recorded at Studio "Το Αγροτικόν", Thessaloniki. Artists on cover appear in genitive. All wording originally in polytonic orthography. Maybe the best example of the greek "folk music" after the golden era of the rembetika.Simple and intimate lyrics,great vocals from Papazoglou.The whole vibe is million miles away from the so called "serious" and politically charged greek music of the mid to late 70's but that's a good thing! I think that Rasoulis is the person to "blame" for this and we thank him a lot!